Locard is talking, of course, about criminals, but every contact WE make, even unconsciously, leaves a trace, too. I’m not talking about fingerprints and footprints, but rather feelings. You probably know a person whose smile can light up a room — and another who puts everyone into a blue funk the moment he walks in. Maya Angelou wrote, “People may not remember what you did or said but they will always remember how you made them feel.” That’s the kind of trace I’m talking about. We play not only the “criminal” role in our own everyday episodes of Sherlock or CSI, but also the “detective” role. We leave traces of ourselves and are highly sensitive scientific instruments in detecting the traces others leave. We are trace leavers and trace detectors. 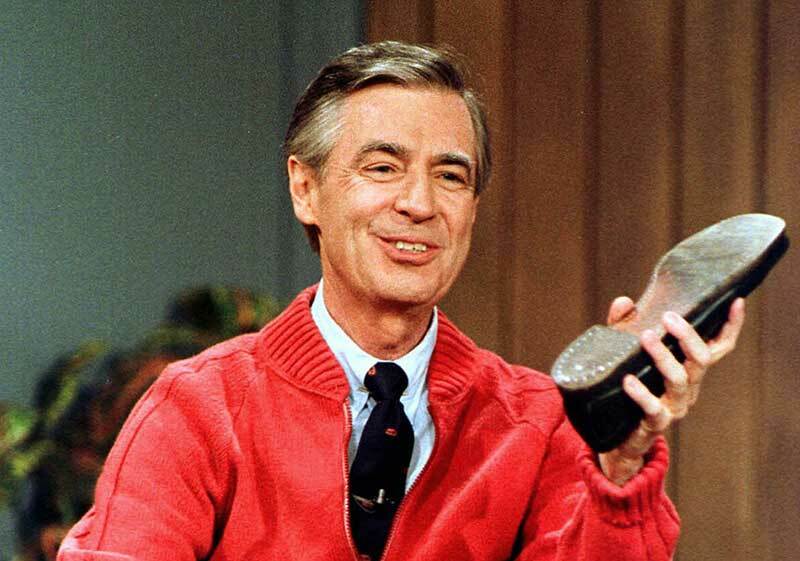 Mr. Rogers understood this — and taught it to children. Here he’s holding up his shoe, perhaps to examine it for traces of cat hair or carpet fiber . . did he read mystery novels, too?